I was very glad to welcome Szabolcs Pasztor in our Public Administration Discussion Meeting at the Higher School of Economics, yesterday, 5th December; who was visiting us from the National University of Public Service (NUPS), Budapest, Hungary. Szabolcs Pasztor is an assistant professor at the National University of Public Service (NUPS), an external lecturer at Corvinus University of Budapest (CUB) and Peter Pazmany Catholic University (PPCU). He is former editor in charge of the Financial and Economic Review (FER), the Journal of the Central Bank of Hungary. Szabolcs Pasztor’s talk focused on the presence of clientelism in Central and Eastern Europe (CEE). This topic is a very interesting one. A century ago, Max Weber told us how a perfect bureaucracy has to look like on paper: Hierarchy, clear lines of accountability, written reporting of administrative activities, and full-time employment of staff, among others, will make a high-performing organization. And he mentioned another essential feature: Employment should be based on qualifications, and merits. The well-educated candidate will get the government or civil service job. The most experienced public official will climb up the career ladder – the saying goes. In reality we experience underperformance where we would expect employees with a high level of public service motivation. And we recognize from time to time that it is not the hard working civil servant who gets the corner office. Too often community members are faced with suboptimal results where they should receive excellent public services. Why? Clientelism might be an explanation. Vote buying and patronage are some prominent examples. Patronage means public employment in return for electoral support. That is maybe why not the best candidate but the most-well-connected one gets the top job. Szabolcs Pasztor spotlighted the phenomenon in both in contemporary Hungary, and in more recent times. Clientelistic behaviour had been present already in 19th century Hungary, at a low but stable level, deeply entrenched and visible in literature from famous national writers. A crucial turning point was the end of WW1, when Hungary lost big parts of his former population and landmass. In such a small country, where everybody virtually knows everybody, clientelism became even more important to get a job, promotion, or generally getting things done. In so called communist times level of clientelism rose significantly, as market forces were replaced by social and political ties. Low level of public service quality. Discussion about the talk focused on two major issues: First, is clientelism a type of behaviour, and if so how does it relate to corruption, and other kinds of unethical behaviour, and networking, which is considered to be an essential soft skill. Second, how do we measure clientelistic behaviour? And further assuming we possess a sound measurement scale, what is the empirical evidence on this predisposition of an individual? Do organizational level factor like the size of an bureaucracy, or an economy play a role? 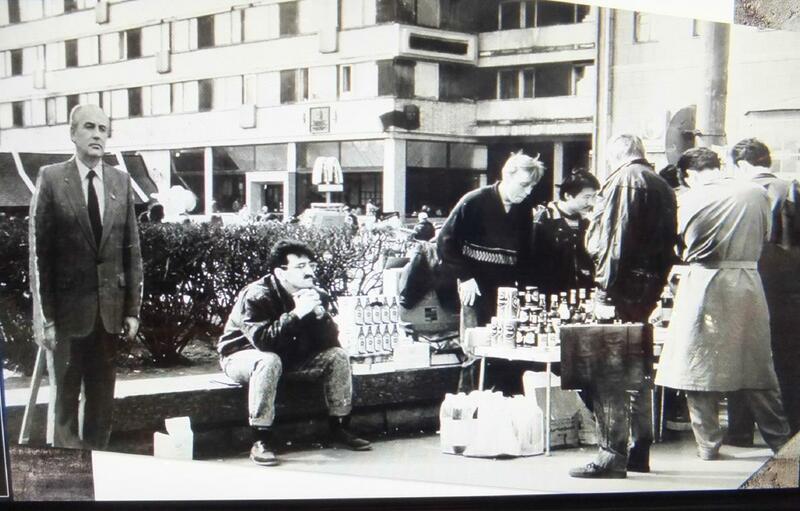 Pictured above: “Market economy” in Russia in the transformation period in the 1990ies, seen at the exhibition “My History”, which was displayed in Moscow’s central exhibition hall in November 2016.